"Lots of multimedia and high quality video." Portuguese is the sixth most commonly spoken language in the world. Across the globe there are more than 210 million native speakers of Portuguese. Given the languages prominence it is not surprising that many people are eager to learn Portuguese. But with so many Portuguese language courses on the market it can be difficult to know which one to choose. Here I share my personal experience with the Fluenz Portuguese course. Below you will find an overview of what is contained inside the course and how the Fluenz approach works. I have detailed the major advantages and disadvantages of the course and compare Fluenz with some of the other popular Portuguese courses. 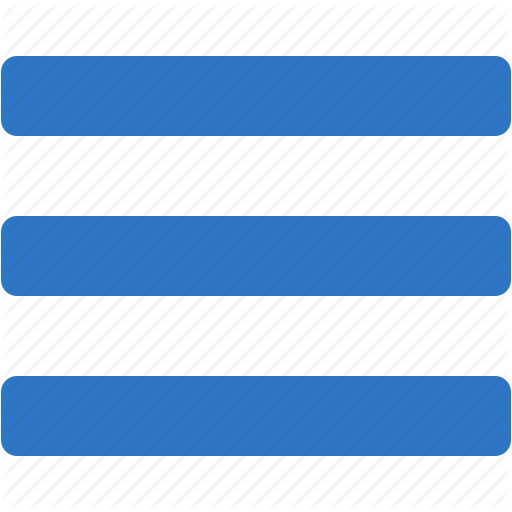 Levels 1+2 are priced at $278. Level 1 is priced at $177. Level 2 is priced at $198. All courses include a 100% money back guarantee and offer free shipping within the United States. When you purchase this program, you'll get the following items: two DVDs and two audio CDs, phrasebook navigator, access to podcasts, user guide, brochure. How does the Fluenz approach work? One thing that separates Fluenz from other Portuguese courses is the video tutor. This video tutor takes you step by step through the course and provides explanations and context for the lessons. This is quite different to some other methods that focus on immersion learning. All the language concepts in the course are explained in English so you never have to guess what they mean. The videos from your tutor play at the beginning and at the end of each language lesson. In this way it is very similar to Rocket Portuguese. The main difference is that with Rocket Portuguese there are audio and forum interactions, but no video. Also the Rocket guides tend to share more personal details and ideas about how the student can improve their Portuguese studies. In the early units there is more emphasis on writing and speaking. As the course develops, reading, writing, and speaking are blended together to provide the student with comprehensive understanding of Portuguese. Strong focus on repetition - The way we learn new words and concepts is through having them repeated to us many times. With this program you learn a new word or grammar concept by it being repeated in many contexts. Video tutor is very helpful - One of the real strengths of the Fluenz course is the video tutor. These explanations at the start and finish of each lesson ensure that you are always able to grasp the main language concept that has been taught. The video tutors are very friendly and easy to understand, which makes studying with Fluenz much more fun. Good for grammar - Grammar is something that a lot of the other language courses neglect. In contrast Fluenz Portuguese has plenty of material and lessons to make sure that you fully understand the main grammatical concepts. I've found this to be a great way to get a solid foundation in the language. Excellent customer support - Many other language courses only provide technical support. The support with Fluenz is much more comprehensive. If you contact the customer support, you will find that they are very willing to help with any learning issues. Lessons build on one another - There is a strong direction to the course. Each of the lessons builds upon the other, rather than jumping from one concept to the next. Pronunciation is very clear - The speakers talk with a very clear voice so it is easy to learn the correct pronunciation. At the beginning of the course they speak relatively slowly, but by the end of the course they are speaking at the same speed as a native Portuguese speaker. No speech recognition tools - Unlike Rosetta Stone, Fluenz doesn't have any speech recognition tools. Instead it allows you to record your voice and then compare it with that of a native speaker. While this is something of a disadvantage, it is not as important as you might imagine. Rosetta Stone offers speech recognition tools, but they are often inaccurate and can be more frustrating than helpful. No web tutor - Another feature lacking is an online tutor. In comparison Living Languages Portuguese provides you with an online tutor who helps you review the course material and discuss any questions. While the video tutor in Fluenz Portuguese is helpful, it is not a replacement for having a real human to ask questions of. How does Fluenz compare with other Portuguese courses? One of the courses that Fluenz is most commonly compared to is Rosetta Stone (my review). But there are some substantial differences between the two courses. The main difference is that Rosetta Stone uses an immersion model where-as Fluenz translates Portuguese to English. Rosetta Stone's immersion model does have some advantages, but can sometimes be unclear what a specific word or picture means. Visual clues have their limits and that's where Fluenz comes into its best. Another advantage of Fluenz over Rosetta Stone is that it tends to teach the words you are likely to use first. In contrast Rosetta Stone teaches basic words such as the foods and animals first. Pimsleur is a completely audio-based course and has its own strengths (my review). Another course quite similar to Fluenz is Rocket Portuguese (my review). Both Fluenz and Rocket are very high-quality courses. For value for money the course from Rocket Languages is the better purchase. Rocket Portuguese is currently priced at $99.95 for lifetime online access. This is less than a third of the price of Fluenz Portuguese. Fluenz Portuguese has some nice features that are lacking in Rocket Portuguese. Overall the video quality in Fluenz Portuguese is higher. But given that the quality of the content is relatively similar, Rocket Portuguese will be more suitable for most language learners. Rocket Portuguese also offers a six-day free trial that allows you to try out the course before you commit to either Rocket or Fluenz. High production values (video, multimedia, interaction). Customer support is very responsive. Lacks e-tutoring with an actual person. It's pricey in comparison to others. 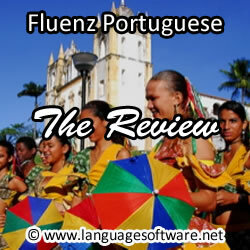 Fluenz Portuguese is a very good course with high quality production values. The video tutor guiding you through the course is very helpful and you never find yourself having to guess what a particular grammar structure or word means. While Fluenz lacks high-tech voice recognition software, this is not really missed. More noticeable is the lack of an online tutor that Living Languages includes. Overall it is a great product, but if you are looking for value for money, Rocket Portuguese is the better choice.